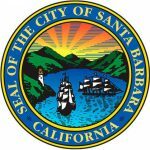 Planning your weekend in Santa Barbara can be a challenge only because there are so many wonderful sites, restaurants and special things to do. Opera Santa Barbara is listing below our “top picks” of what to do when visiting our fine town. Located in the “Upper Village” of Montecito, this is an exceptional, rustic Italian eatery.